Other then that, we received a grant of $12500 from BAE systems that we are using for next year. 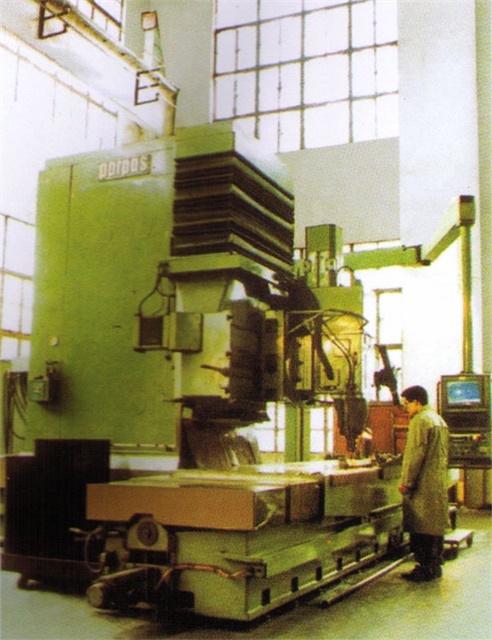 Recently we were given a Bridgeport Series 1 Mill with a Anilam 1100M retrofit kit. The system is 2 axis and the computer is a Intel 387 Dx. We are having a bit of trouble because the memory board which stores the system settings is made up of volatile memory. When the battery died, the OS was lost. While we have a disk with the OS, I was wondering if anyone has any experience with the system and could give some pointers with the setup. Also, if anyone has a copy of knows where I can get a copy of the Anilam SR1100 Offline software, it would be greatly appreciated. There are lots of Yahoo groups that talking about milling. You might have luck over on one of those. First I would start with Anilam and see what they say. If that doesn't work go over to cnnzone.com and do a search first then post someone there will be able to help you. Third see if you can get Anilam to 'sponsor' you into a z axis retro for that mill. Two axis retros are just about useless unless you are just drilling holes. I have a small cnc machine shop let me know if you have any questions. Save yourselves a lot of headaches.......here is what will get the job done. They also have the 3 axis tape reader kits pretty cheap. Here is mine that I built. I used Mach3 software and AC servos for the axis. Any real reason you need cad/cam besides speed? A manual bridgeport is a great gift as it is! Did they give you the R8 tooling? You can do some really neat stuff. I see speed as being a big plus especially in a school environment with limited time. Any way, learn how to make things. There are too many people that can draw things but have no idea how to actually make anything. There is a big difference between drafting something and actually being able to make chips. Carmangary, Is that yours? Super cool. That thing is a monster. My other mill that I built is not quite that big but it has a 12' x 10' x 36" envelope. Last edited by chad; 05-04-2008 at 19:04. Nah, that's not my mill. I was just being a joker. Man, Chad, I know who's drilling my next beam table, can your machine do DRAPS?